Celebrate Valentines Day at the Hippodrome with the Morticians and you’re sure to have a great night! 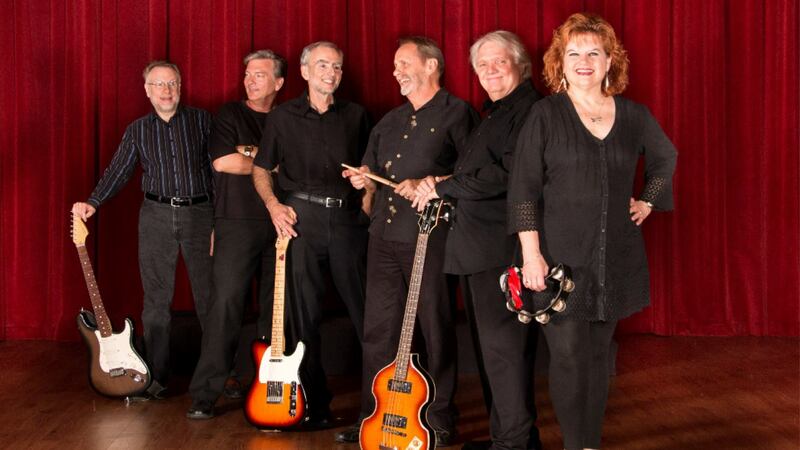 The band that has been synonymous with 50’s and 60’s music in Central Texas is the Morticians! Their song list reads like a Who’s Who of that incredible era in music. With performances of songs by such great artists as the Beatles, Credence Clearwater Revival, Roy Orbison, the Kinks, Elvis Presley and many more. Floor Seats are $40 per person and include a romantic Spaghetti Buffet and one glass of champagne each. There will be a dance floor at the front of the stage, and 2 bars at the back of the orchestra. Balcony seats are only $15 and will have food and beverage service. We will be offering our regular menu in the balcony.